We are happy to introduce you to our 2018 conference session speakers! Ken Randall - Visualize, Specify, Collaborate! We all must work collaboratively in teams to deliver quality products. The ability to contribute effectively in a team is among the most valuable skills to develop in a workplace. Many organizational problems are the direct result of people failing to communicate adequately. Faulty communication leads to confusion and can derail the best laid plans. This topic aims to differentiate a group of individuals from a working team. The audience will learn about several elements of interpersonal skills such as communication, team trust, conflict resolution, motivation, and leadership – all of which help to convert a loose group into an effective team. This talk will also delve into simple models of communication, self-awareness, and motivation used by an individual or team to be effective in a global work environment. Sneha Fotedar is currently working for Enterprise Automation at Huntington National Bank. She received her Master’s degree in Computer Science from University of Cincinnati after receiving her Bachelor’s from the University of Pune. She has a prior work experience as a mainframe developer with Tata Consultancy Services. After many years working abroad, she decided to pursue a Master’s degree in the U.S. to experience a cross-cultural work environment. Her current duties at Huntington include web automation, as well as integration, system, functional and acceptance testing. Her technical focus is working with object-oriented languages and preparing training sessions to uplift her colleagues. A three-part talk on the processes, skills and toolsets practiced by professional Business Analysts in leading organizations today. Ken Randall presents a survey of techniques and the application of these techniques in the AxureRP Toolset. The presentation focuses on the challenges Business Analysts face in representing requirements to their many customers, methods to improve communications and collaboration with stakeholders and approaches to representing solution requirements. The talk includes real-world examples of “ah-ha” moments, success and even some painful lessons-learned that no doubt will encourage and challenge you to do your own continuous improvement with your teams. Ken Randall has over 25 years of experience developing enterprise business processes and technologies. Throughout his career, Ken has been called on multiple times to resolve crisis and turnaround situations, as well as lead strategic initiatives. His expertise has evolved from client/server-based solutions to n-tier collaborative web applications and he has worked with many of the major technologies deployed today. Ken is currently a Vice President at Wells Fargo, consulting and coaching teams on Business Process and Workflow Strategy and Solutions. Prior to joining Wells Fargo, he was Vice President of Business Development at Flying Bridge Technologies Inc. Whether you are operating in a Waterfall or Agile environment, trust impacts product development. This session will examine how trust enables or hinders our efforts. We will also look at the costs associated with not having trust and answer the question, how do you build trust with our stakeholders. Kermit Morse is an experienced IT Business Analyst, Project Lead, and Certified Scrum Master. He spent over 25 years creating software in both the waterfall and agile worlds. Example Mapping is a collaboration technique used by teams to help refine requirements. Every team should have a set of "ready" criteria that includes some kind of workshop between development team members to establish a shared understanding. In a time-boxed Example Mapping session, rules will summarize examples or constraints about a user story, and questions about outcomes or dependencies are documented for future refinement. The end result are requirements written as user behavior with a shared understanding among all roles on an Agile team. The audience will participate in a live Example Mapping session and learn how to implement the workshop within their own team. Thomas is presently serving as the Senior Application Architect for Huntington National Bank. He is responsible for the conversion from manual testing to Ruby/Cucumber automation for the entire enterprise. Originally accountable for the development and maintenance of automation frameworks for Digital Channels, he now leads the automation effort for 73 applications across Huntington that encompass testing, metrics & reporting, data, and environment. Thomas leads the training & technical support for both on-site employees as well as offshore contractors. He has developed test strategies and assisted in coordination between multiple lines to improve delivery effectiveness & resource flexibility. The Scrum guide says that Scrum recognizes no titles for Development Team members, regardless of the work being performed by the person. But wait! I’m a Business Analyst, not a developer. This talk will discuss how a BA fits in and adds value to a Scrum team and what makes a BA a desirable Scrum team member. Melissa is an Agile Coach, Product Owner, and Scrum Master in Cardinal Solutions' Columbus office. A committed teacher of individual growth, she delves into the Agile mindset to help people realize their best, with focus on fostering strengths, developing confidence, and discovering courage. Melissa experiences success by openly inspiring others to add value with every single action and decision. It’s a challenge to know how much documentation is necessary for any given product. I’ve written pages and pages of documentation that have never been read by anyone, including me. I’ve also written close to zero documentation on projects, only to have someone ask to read the documentation! How can we add valuable documentation that isn’t a waste of everyone’s time? As a product manager over multiple products, I have experience finding the right amount of documentation necessary to get the job done for various projects with various stakeholders. Attendees will come away with a new way to view documentation and some new tools/ processes for analyzing how much documentation they really need for a project. Paul Meeker is the Assistant Director, Product Development for the Academic Information Systems team at Franklin University. Paul started as a BA and now oversees Analysis, Project Management, Support, Training, and Quality Assurance. He also acts as Product Owner of multiple products developed by the University. Paul has helped grow and scale agile software development and test automation at Franklin. Franklin has built many software products, most notably BlueQuill — a custom learning management system that has been commercialized and sold internationally. Paul is a Certified Scrum Product Owner (CSPO) and is an IBM Certified Solution Designer in the Rational Unified Process v.7.0. Like drawing or singing or cooking, people think of innovation as something you either have natural talent for or you don’t. And most people think they don’t. The truth of the matter is, however, that, by changing our behaviors in some small ways and practicing some specific disciplines, all of us can become more innovative. And with innovation being such a critical element of the continuing success of our enterprises, it is incumbent upon us all to improve our innovation skills. In this talk we will learn what the research says about how individuals can develop their innovation skills as well as what organization should be doing to foster innovation and capture innovative ideas. Richard Reichard is an Associate Professor of Informatics at Muskingum University. For the last 12 years he has developed and delivered the innovative online masters program, MISST – Master of Information Strategy, Systems and Technology. Prior to teaching, Richard worked for 16 years in telecommunications systems development and deployment at AT&T Bell Labs. His interests include innovation, business strategy, information systems security and IT governance and management. This session will discuss developing, implementing and executing incident response policies and procedures before, during and after a security breach; who should be on the incident response team; breach notification requirements; and the role of outside counsel and vendors in breach response. Download Victoria's presentation here. Download the accompanying handout here. Victoria serves as the co-chair of Kegler Brown’s Privacy and Data Security practice. In addition to data protection, Victoria focuses her practice in the areas of global business and intellectual property litigation. A member of the International Association of Privacy Professionals, Victoria regularly assists clients with state, federal, and international compliance including the General Data Protection Regulation and with preparing strategies for responding to data breaches and other security incidents. With changing paradigm Cyber Security has become a key aspect of Application development. Enterprise Application Team deals with Security Vulnerabilities on a much more frequent basis now. Understanding that most of these issues can be addressed early on while scoping and designing an IT solution, Business Analysts can play a key role by enabling strategic approach for building secure product. You will leave the session with detailed understanding of how to secure an application from start and to pose right set of questions to everyone else involved in building IT solutions. TJ currently serves as a Principal Architect at Huntington Bank. She is a lifelong student of computer science and hasv12 years of programming experience as a Full Stack Developer using wide range of technologies. TJ is passionate about discussing, designing and building end to end solutions for banking enterprises. She is an ardent speaker and enjoys to talk about new ideas and upcoming IT frameworks. Outside work, TJ loves to lift heavy weights and explore human sciences. There has always been a fine line as to what constitutes a requirements element vs. a design element when documenting Requirements. Join in the age old debate on where requirements end and design begins. Can the two elements co-exist in one place and should they? Is it fair to shut down discussion of design just because it’s happening in a requirements meeting? Is it possible to keep design elements out of a very technical project? Download Brenda and Ryan's presentation here. Brenda Eldridge is a 35+ year career IT Professional, certified in Quality Management, SCRUM, and Software Testing. She is currently working as a Lead Requirements Analyst at Nationwide Insurance. With experience in programming, analysis, testing, quality assurance, resource management, methodology development, and project management, she brings a breadth of experience to her role. Additionally, she has experience training others on Six Sigma concepts and prepping for various professional certifications. Ryan's 25+ year career has been spent improving the quality of requirements and analysis within Nationwide and its partners. His passion for delivering quality requirements and experience comes from the great people he has met and worked with as part of his career. His extensive quality assurance and business analysis experience began in roles prior to becoming a Manager of IT Analysis in 1999. As a people leader, he has continued to gain relevant IT and QA experience in leading multiple teams from Analysts to Developers. Today, he is a People and Practice Leader that manages a talented team of IT Analysts that work as Program/Project Analyst Leads or Agile Line Analysts as part of the Requirements and Testing (R&T) department that is part of the Program and Application Services organization at Nationwide. With the speed of business and technology change, the ability to deliver solutions at a lower cost and higher velocity -- continuously, in fact -- is a key to survival. DevOps has been described as "the union of people, process, and products to enable continuous delivery of value to our end users," and Business Analysts are uniquely qualified to make a significant contribution to achieving the DevOps vision for the organizations and customers they serve. In this presentation, Business Analysts and their partners will learn the DevOps principles where they can personally help drive the achievement of continuous delivery within their organizations along with specific tools and techniques that are tested and immediately actionable. Download Bart and Christy's presentation here. Bart Weaver is an IT Senior Consultant responsible for requirements delivery in the Nationwide Enterprise Digital organization. With over 20 years of diverse IT experience in the retail, manufacturing, life sciences, and financial services industries, Bart has cobbled together a unique worldview of how IT can help an organization better compete in the global marketplace. Bart is a Management Information Systems graduate of The Ohio State University and is a certified SAFe Program Consultant and Certified Agile Leader (CAL1). When not relentlessly focused on improving organizational efficiency, he spends his time renovating an older home so both age gracefully. Christy Fenzl is a CBAP-certified Senior Consultant responsible for requirements delivery and continuous improvement at Nationwide. Her experience includes building strong BA organizations and communities of practice. Her interests include Lean Management Systems, Design Thinking, and cruising & racing sailboats in Central Ohio, the Great Lakes, and the Caribbean. Experimentation is a powerful tool of product development that can be used to elicit and validate requirements, evaluate solutions, and mitigate risk. While pilots, prototypes, and proofs of concept are ubiquitous in product development today, their objectives and outcomes are often misunderstood and ambiguously defined, muting their effectiveness. Enhanced knowledge of experimentation techniques can be a vital resource in a business analyst’s toolkit, especially for those working with emerging technologies and innovations. Download Laura's presentation here. Download the accompanying handout here. 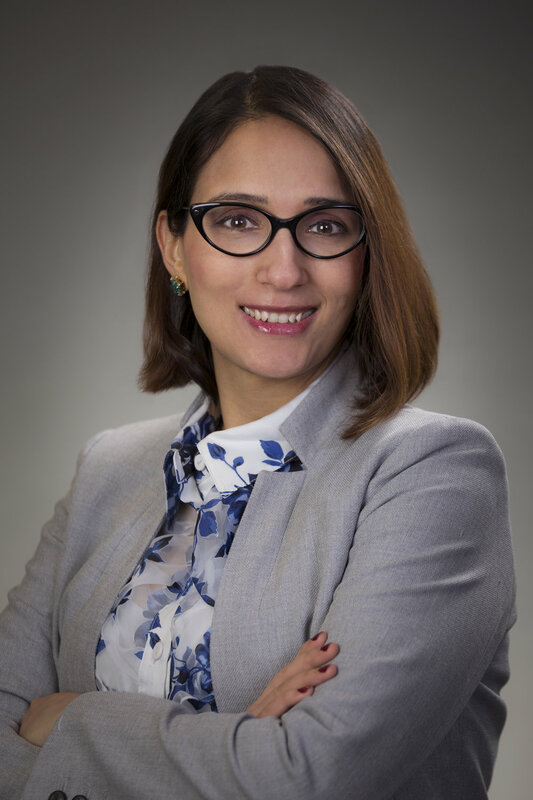 Laura Fernandes, CBAP, has eleven years’ experience as a business/systems analyst, working with stakeholders in financial, retail, and logistics environments. She is currently the Systems Analysis Practice Lead for Alliance Data’s Account Center web development team. Rip Off the Rearview Mirror will give you a hands on experience to live for the only minute you can control which is now. Living in the past creates depression, while, living in the future creates anxiety. We only have this moment to discover our “Through Line” in life by defining our short term objectives and our super objective and when in unison the line is created. It seems as if the agile methods have lots of DD’s going on. TDD – Test Driven Development, BDD – Behavior Driven Development, and ATDD – Acceptance Test Driven Development. Adopting BDD allows for testing to be done as early as possible in the software development life cycle, promoting accurate testing, ensuring proper test coverage, and supporting the introduction of automation testing. One challenge is understanding the characteristics and benefits of “driven” approaches. Join Josh Eastman to discover ways that BDD can be employed to describe and test system behavior, user stories, and user acceptance. Josh will discuss Gherkin - the language to capture behavior descriptions and automation with cucumber and explore the four major values of BDD to ensure product quality, while driving time and cost savings. Leave this session with ideas to reduce the ambiguity and miscommunications that occur during development and testing. Josh is proud to represent Kforce as a Strategic Solutions Director based in Columbus, OH. He is an accomplished software testing and development professional with over 7 years of quality assurance and testing experience primarily within automation testing and Acceptance Test Driven Development. (ATDD) Josh creates project solutions for Kforce’s client portfolio and was a recent speaker at StarCanada in Toronto and QA or the Highway in Columbus. His background includes designing, implementing, and teaching automation solutions for a wide range of clients in systems and software, as well as consulting on process and methodology for improvement of quality and efficiency in the Software Development Lifecycle. (SDLC) He has guided high profile companies such as Nationwide Insurance, Huntington National Bank, Capital One, Dell, Stanley Black & Decker, Cisco, iHeart Media, Starbucks, and a variety of other companies nationwide. As the trend of companies transitioning from Build to Buy strategies increases, the role of the Business Analyst often comes into question. The vendor sells a bill of goods, but as experience shows, "One size does not always fit all." Download Anna and Raymond's presentation here. Anna Chlopecki started with Progressive Insurance as a Business Systems Analyst in 2016, where she leads requirements elicitation for enterprise projects. She has held multiple roles prior to Progressive which allowed her the ability to wear many "hats", early. This included working as a business, functional analyst or project manager to support major vendor initiatives across different vendors tools. She is currently in graduate school for her MCIS at Cleveland State University. Ray Hamlin has worked in Business analysis for over 10 years, and is currently a Business Systems Analyst Lead at Progressive Insurance Corporation in Mayfield Village, OH where he has worked since 2013. In his role he leads the BA effort on large Enterprise projects at Progressive. Ray has also served on the Steering Committee for Progressive’s BA Community of Practice. Ray holds an MBA from John Carroll University, is a Six Sigma Green Belt, and earned his CBAP certification in 2015. Due to their epic size and complexity, building large enterprise applications can seem like such a long and arduous task that it may feel like it would require less effort to send a man to mars than to build some of our monolithic applications. In this session, we will take a historical look at how Monolithics applications where built in the past and the issues that they bring. We will seek to understand how the shift to microservices and cloud technologies are enabling companies to deliver software faster and with more confidence. While we will provide a gentle introduction to some of the new technology trends, we will mostly focus on the vital role analysts play in Dismantling the Monolith. Barry is passionate about learning, problem solving, and teaching. He's been developing software for enterprises for over 18 years. He's been at Nationwide for over 12 years assisting in the development of a wide variety of applications. Barry can often be found trying to inspire and educate others both inside and outside of work. Whether he's MacGyver'ing IOT solutions together or leading a hackathon team, he loves innovating and constantly trying new things. DevOps delivers tremendous advantages through automation of processes. Designing processes that can be automated through the build and delivery value streams requires a new approach to process design. The acceleration of process from development through deployment also puts increasing pressure on the requirements collection and provisioning processes. Automated processes and requirements management drive clarity of expectations and consistency of process which in turn provides practitioners with an environment conducive to focusing on the work, with reduced distraction from work discovery and low- to no-value-added administrative work. Deterministic process design based on process standard work and role standard work enables rules based process work flow which can be automated using commonly available software tools. This additionally provides significant benefits by providing intellectual property and asset protection, version control, improved availability to distributed teams and re-use. Jack is currently the Director of Build Methodology at Nationwide leading the development and deployment of ASDm, Nationwide’s next generation technology solution development processes. ASDm leverages standard work and pull oriented work flow processes that implement DevOps and applies Lean and Agile thinking and practices across the SDLC and infrastructure value stream. Jack has started in IT as a developer, and has since served as business/system analyst, architect, and project/program manager prior to becoming the Build process owner at Nationwide. Forests are full of trees with many branches and all kinds of leaves. Some trees are overflowing with leaves and some have bare branches. Some are even dead on the ground. There are many similarities to forests and processes in our organizations. In this session learn how to navigate the dark forest of process. Understanding the entire forest and the individual leaves of the tree is important at different times. Analysts that are skilled process navigators create value in their organizations. It’s important to watch out for the forest rangers, hikers and preservationists in our process forest too. Learn how the entire ecosystem works together to ensure a healthy forest. We will have fun as we explore the dark forest of process! the world sharing her experience to enable others. Explore the integral role the business analyst plays in the success of Agile teams. This highly interactive presentation will explore the integral role the business analyst plays in the success of Agile teams. Discuss real world examples of how the analyst can leverage their unique skills to help drive an Agile transformation. 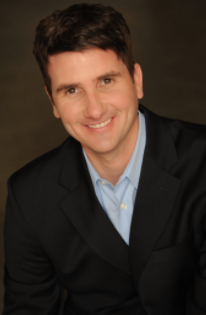 Dan Clausing, CBAP, CSM, is an Agile and Lean Transformation Coach at a Fortune 100 company. He has spent over 20 years working to bring business and IT together for a common goal - the success of the customer. His career has ranged from corporate team builder to leading analysis efforts on multi-million dollar software development programs. Prior to his present role Dan spent over 5 years with traditionally waterfall teams as they transformed into Agile teams. For the past several years Dan has been an Agile and Lean Transformation coach leading efforts to optimize processes throughout the software development organization. In addition to this work, Dan serves as the Vice President of Marketing and Communication for the IIBA Central Ohio Chapter. Organizations of all sizes either have or are planning a strategy to move their applications to the Cloud to gain scalability and elasticity benefits. The Cloud requires a fundamental rethinking of aspects such as networking, security, topology among others. Migration patterns and redesign of workloads and business processes have to be deliberate to gain the efficiencies that the Cloud promises. As Program Architect for her department's move to the Cloud , Neelam will share her experiences on the gotchas encountered . She will also explore the process of developing a business case for Cloud migration and focus on how requirements for migrating or building new in the Cloud differ. Neelam’s career has been focused on Big Data enablement and data warehousing where she has led major data initiatives and has set data strategy. In her recent role, the Property & Casualty insurance data warehouse she supports has embarked on a multi-year journey to move its applications into the cloud. She actively contributes back to the industry with board memberships and speaking engagements, two of which have been at past IIBA Columbus conferences. Discussion of techniques and tactics for BA’s to inject quality earlier in the life cycle of SDLC and requirements analysis: e.g., using ISO 25010 to guide requirements elicitation, how and when to engage and collaborate with QA/QE stakeholders, etc. Cody May is the Practice Director for Business Analysis at SQS USA / Trissential and is a Certified Business Analysis Professional™ (CBAP) and Certified Professional for Requirements Engineering (CPRE). He has a strong background in the modeling, decomposition, analysis, simulation and evaluation of complex socio-technical systems. He has experience managing and supporting sophisticated applications for both private businesses and public institutions across a variety of industries, including the healthcare, finance and banking, logistics, retail, transportation, government and military domains. Cody’s has rich experience in both Agile and traditional Waterfall development models, and across all phases of the software development lifecycle, ranging from strategy analysis to design, development, testing and maintenance. As the Practice Director since 2014, he also has the responsibility of building, managing, and coaching BA teams across multiple locations, and serves as one of the company’s BA thought leader through SQS’s global Communities of Practice. The way we feel is important! All that we think, do, or say is influenced, to some degree, by emotions. Many successful businesses and people recognize the importance of emotional considerations. The way we feel is important and should be considered! All software is intended to help solve some problem, and both problems and solutions evoke emotions. Software requirements are simply wants or needs, which often stem from core emotions. Research shows that emotions can affect the acceptance or rejection of software. The way we feel about software is important and should be considered! A placebo is designed and used primarily to evoke emotions. Things like sugar pills, false elevator door close buttons, and fake office thermostats aim “to please”, rather than have any other physical effects. Placebo requirements focus on emotions. And so, considering software through the lens of a placebo can help emphasize emotional considerations, and provide a valuable perspective on bugs, ethical design, and much more. Damian Synadinos has been helping “build better software and build software better” for more than 25 years. Now, through his company Ineffable Solutions, Damian offers experienced-based and research-hardened talks, training, and consulting that are both educational and enjoyable. His experience spans many roles and companies in diverse industries including airline, education, ecommerce, finance, insurance, retail, and commercial realty. Damian also helps organize an annual, regional testing conference, and frequently mentors, coaches, and advises IT professionals around the world. He is an international speaker and trainer, presenting fundamental topics applicable to a wide range of contexts at numerous conferences and corporations. Additionally, Damian has over 10 years of theatrical improv experience and frequently uses applied improv to teach a variety of subjects. Years of stories and research have taught the industry that DevOps can help organizations reach greatness and high(er) performance. DevOps is the movement that has inspired companies to bring together the business, the development organization and the operations organization to drive more valuable change for their end users which in turn drives profit higher. How does the business analyst fit in, and better yet, where is the business analyst’s place of influence and leadership? Come to this session to understand not only how the role of the business analyst in DevOps but more importantly the influence of the business analyst in an organization to inspire transformation, continuous learning and continuous improvement. Logan Daigle is a DevOps Coach with Collabnet VersionOne from Charlotte, NC. He has been involved with providing and implementing DevOps solutions since 2011. Logan has development and DevOps experience in the military, government, healthcare, retail and finance industries. Logan has a passion for being Agile, doing DevOps well and using Agile engineering practices to build, test and deploy software. His experiences have been in support of both Windows and Linux infrastructure, and many tools that are key to the success of applications in both. He is currently focusing on evangelizing in the technology community to bring DevOps to the masses. You can follow Logan on Twitter @TheDevOpsGuru. Let’s face it, there are more things that you want the application NOT to do then to do. As a tester, it’s my job to figure out how to gain access to all the unmarked paths surrounding the happy path and go on a bug hunt! When going on a bug hunt, I follow each of the unmarked paths until I am stopped. Every path is a mystery. I wonder what I will find. Is this path here because of missing requirements, incomplete requirements or a developer’s unique interpretation of the desired functionality? Come exploring with me as I share the most common reasons for unmarked paths and tips on how to create requirements that keep your tester (and users) traveling down the happy path.